Don't freak out, because I just did! :D I remembered I was a lazy girl and I almost forgot that I haven't done the third topic of #2014BloggerChallenge. But thank god I use my brain sometimes, in emergency . 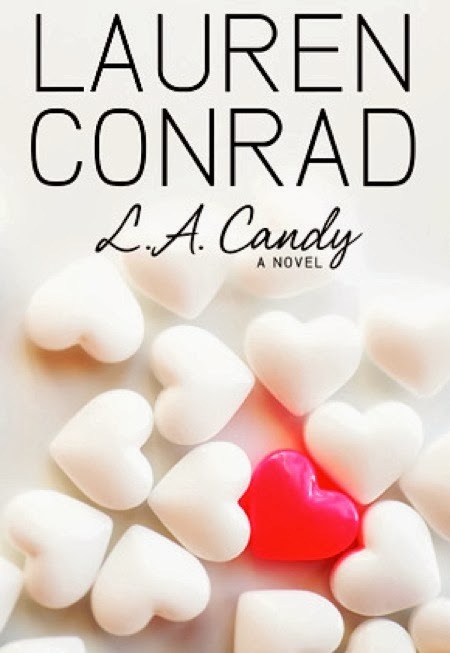 So my latest favourite book is LA Candy by Lauren Conrad. Well I have to admit that I bought it because of the pretty cover ( then came my old addiction for The Hills, etc ) and at first I didn't like the language of it. It's pretty simple and I read it in Hungarian - in my mother tongue- and you have to believe me it was pretty funny and not so serious. I guess in english it sounds better :) But I made through the first book really fast and I bought the second- actually that is a lie because I bought the second first and than the first...does it make sense? Sorry..I can't handle my thoughts- and I finished it quickly as well. I know these books are fictional but I am sure it is based on reality and although I am trying to be a more mature person since I am eighteen I have to admit I still like these easy, girly books and it actually took me in completely and it was a kind of book I just couldn't put down :) I recommend it to everyone who liked The Hills, who loved Gossip Girl books and who just simply wants something girly with drama, boys and parties in it.